Editor’s note: President Trump and Democratic party reached an agreement to re-open the partially shuttered federal government for 3 weeks as of 3 p.m. eastern time on Jan. 25 as they continue to negotiate over immigration issues and funding for a border wall. Many public transit agencies – especially ones operating in rural areas and relying solely on federal funding – are running out of operating cash and may be forced to curtail or even cancel service if the partial federal government shutdown continues. The American Public Transportation Association said it conducted a survey in early January and found 36 percent of public transit agency members indicated that the partial shutdown is “substantially” impacting their operations and/or capital programs. 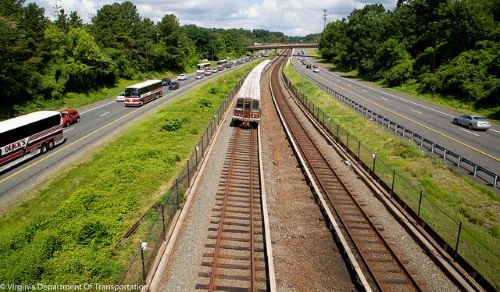 Due to the shutdown, the Federal Transit Administration is not able to execute grants, cooperative agreements, or contracts, they said – and thus public transportation agencies, which rely on grants to support operations and capital projects, are not receiving any reimbursements for previously approved projects and expended funds. Ben Fried at the Transit Center noted in a Jan. 23 news story that the FTA disburses a billion dollars a month to fund a wide variety of transportation endeavors, everything from Amtrak to the New York City subway, which normally gets $150 million a month. That doesn’t include revenue lost from decreased ridership, APTA’s Skoutelas and Stackrow said in their letter. The Bridgeport Transit Authority exemplified how transit is being affected by the shutdown. According to news reports, since the FTA is closed, it did not receive the $3 million federal grant earmarked to fund several projects, including an electric bus pilot program. The agency added that a prolonged shutdown would end up delaying spring construction plans as well. Rural transit providers are being hit even harder as they rely on federal funding for a large portion of their operating budgets. For example, according to news reports, rural transit provider OATS Transit – which serves 87 counties in Missouri – relies on 35 percent of its funding from federal grants. And if the shutdown persists to Feb. 4, the agency said it would have to idle four of seven buses operating in one county and make further service cuts – upwards of 25 percent – for 15 counties in mid-Missouri if the shutdown continues past Feb. 4. Where highway programs are concerned, however, the impact of the shutdown is more mixed. For example, while the Oklahoma is delaying roughly 45 upcoming highway, county road, and city street projects worth more than $137 million due to the lack of federal funding authorization – a tactic the New Mexico DOT is also using for its January bids, according to news reports – others, such as the Utah DOT and Maryland DOT, are so far planning to continue their current construction bidding plans.